As per the provisions of FR22(I)(a)(1), eligible employees can choose for their pay fixation on promotion from the date of their next increment also. 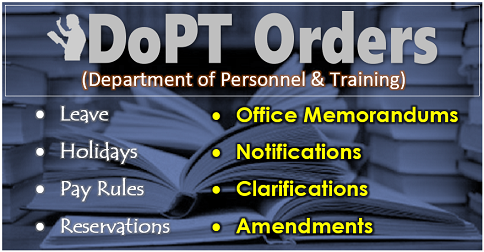 The above DoPT order published with illustration of pay fixed on next increment date option. I was on deputation in the grade pay of Rs.7600/-in the pay scale of PB-3( Rs.15600-39100/-). prior to deputation, I was having GP Rs.7600/-.-in the pay scale of PB-3( Rs.15600-39100/-) as NFSG being a organised service cadre in the post of EE(CIVIL). After 3 years of deputation, I again promoted to NFU Scale of PB-4( Rs.37400-67000/-) with GP Rs.8700/- and my pay is fixed in the PB-4 scale. Later on I was absorbed in the post. What will be my fixation of pay? If the promotion is in 6th CPC it will be on GP 8700. If it is in 7th CPC from 1/1/2016 in will be in Matrix Table 12. 8 on officiating basis, and my pay was fixed at 47600 on 29/8/2017. I got an increment on 7/18 to 49000/-. Now I am promoted as permanent in level 8. What will my pay fixed. I am working in center govt office. in 26-12-2013 i got MACP at 4600 grade pay. I promoted as Section officer through LDCE in 13-05-2014. But not even a single penny given to me at promotion. should i not given an increment on promotion? I would like some clarification. You might have got three Promotions. मेरा DNI .01.07.16 था और मैने अपनी पे next DNI से ही फिक्स करने का option दिया था लेकिन मेरे विभाग ने मेरे option पर कार्यवाही नही की I कृपया मुझे जानकारी दे कि क्या मेरी पे दोबारा next DNI से ही फिक्स हो सकती है या नहीं ? यदि हो सकती है तो मेरा क्या स्केल होगा ? Sir, my basic pay 42800/-(L-5/GP-2800) on 9/10/18(AN) I got promotion and joined In L-6, GP-4200. What is my next basic pay to be fixed? If it is MACP upgradation it will given one increment in lower level 5 of Rs.44100 and basic pay fixed in level 6 (4200) at Rs.44900/- from that day of 10th year completion & next increment on 1/7/19 as Rs.46,200/- If it is vacant post of promotion only designation changes no monitory benefits, as it is same basic pay of Rs.42,800/- only. Consequent on promotion from Assistant Engineer to Assistant Director Engineering with level of pay 10 ,(6th pay commission it was GP 5400/- PB-III) ,I joined All India Radio,Thrissur on 01-06-2018. Assistant Engineer Grade pay is Rs 4800/- and I got 2nd MACP on 01/09/2008 with Grade Pay Rs 5400/-.in PBII and my pay is fixed Rs 93000/- in the 7th pay commission as on 01/01/2016. Rs 95800/- on 1/7/2016 and Rs 98700/ on 1/7/2017. I completed 30 year of service as on 18/03/2017.3rd MACP is not granted till dated.Though I am opted my pay fixation in my increment month ie 01/07/2018,my office is fixed pay (Assistant Director Engineering) with out giving any fixation benefit.From 01/06/2018, my pay is fixed to Rs 1,01,400/- of level 10,cell -21 and from 01-07-2018 Rs 1,04,400/-,level-10 .It is requested that kindly verify the correctness of the pay fixation order.It is pertain to mention here that most of other station has given fixation benefit . 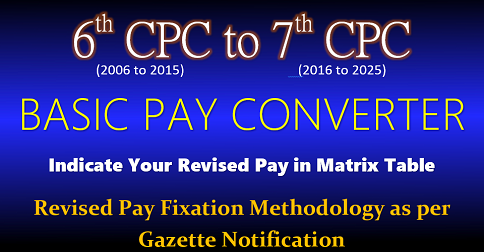 Also give the exact order (date)of pay fixation from MACP to actual promotion in 7th CPC. I am in level 8 BP is 55200/- on 01.01.2016. Non functional up gradation was granted to me as on 01.01.2016 in level 9. Now please tell me if i opt for my fixation from my DNI which is 01 July. then after fixation of my pay what would my DNI. July or January. 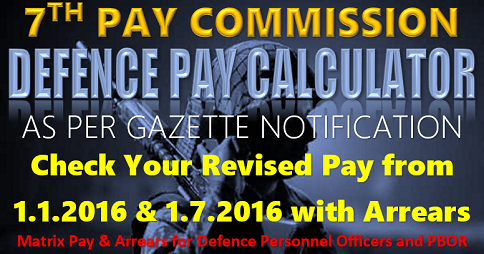 Next DNI 1st JULY,16 only since you have completed your upgradation of pay from 1/1/16 to 30/6/16. If it is 1/7/16 to 31/12/16 it will be on 1/1/2017. I goted first promotion 11-10- 1989..in pay sacle 3050 to 3200.. 2nd Acp I goted 11-10-2005 IN PAY scale 4000)… As per up state Acp rules.. Acp in 6th pay commission effected from 1-12-2008 ..my pay fixed on( 1-7- 2008- 12400 with gp 2400..) In Acp next promotion gp 2800, ..in PB 5200-20200 nd 4200 in 9300- 34800 I goted on 1-12-2008– 2800 gp as notional gp..
As per the 6th CPC rules upgradation of basic as MACP/PROMOTION from THAT DATE, old grade pay added with basic pay and basic pay fixed at next grade pay only, no additional increment. 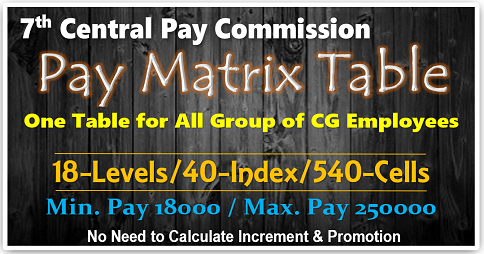 Sir, iam working as postal assistant with grade pay -2400 in latest pay matrix of pay scale 4 in 7th coc. Iam presently working in IPO cadre on deputation basis whose level is pay scale 7 in 7th coc pay matrix with grade pay-4800. How should my pay be fixed for deputation. 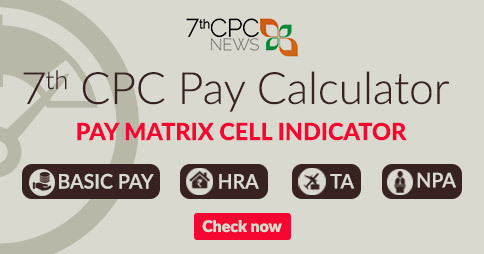 As per the 7th CPC your level 5 of basic pay will be fixed in level 8 equal ant to higher or in at next stage. I retired from the office of Additional Director General (Engineering) (Research Department), All India Radio and DD, 14-B, Ring Road ,New Delhi-110002 on dated 30.04.2015 in the post of Assistant Engineer,which held continuously with effect from 31.08.1989 of Promotion as Assistant Engineer till the retirement dated 30-04.2015. Thus I passed a period of about 26 years of service in one post as Assistant Engineer, as I had been promoted on dated 31.08.1989 for this post as Assistant Engineer. I had joined All India Radio on dated 11.04.1980 as Engineering Assistant in the pay scale of Rs. 550-900. The department has fixed my basic pay to Rs. 23140 in the pay scale of Rs. 9300-34800, Pay Band-2, Grade Pay Rs. 5400 as on dated 01.01.2006 due to grant of the non-functional scale and removed two numbers of Modified Assured Career Progression -II and Modified Assured Career Progression -III after my retirement,which was granted in scale of Rs. 9300-34800, Pay Band-2, Grade Pay Rs. 5400 with effect from 01.09.2008 as Modified Assured Career Progression -II and subsequently Modified Assured Career Progression -III in the pay scale of Rs. 15600-39100, Pay Band -III, Grade Pay Rs. 5400 with effect from 31.08.2009.I am got less pension due to reduction of pay after retirement, which based on Grade Pay Rs. 4800, Pay Band-2, Scale Rs. 9300-34800 and even got less retirement benefits on retirement. You have not mentioned last basic pay + GP 4800. 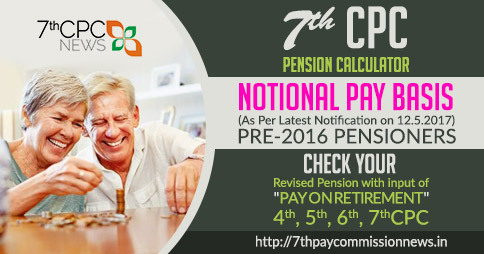 As you mentioned from the 3rd CPC your retirement 7th CPC is in Matrix Level 7 of minimum pay of 50% is pension as Rs.23,800/- from 1/1/2016. 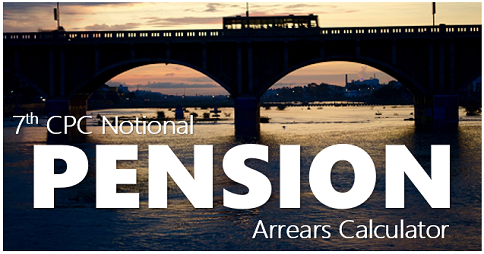 On the last basic pay (including grade) it will decided correct your pension as on 1/1/2016. Regarding seniority old service persons and new recruits entry pay will be higher to old persons due to pay commissions new pay scales will be merged. In view of this there pay may differs. Further attaining the age of 80 the percentage of pension will be increased to old persons. Sir mai crpf me hoo. Aur 1.1.16 ko mera basic pay 9820 + grade pay 2400 tha. 5.6.16 ko as a sub inspector select hua. Jiska minimum pay 35400 hai. As per 7 cpc. But 2nd pay option ke anusar 30.6.16 tak revise pay lekar 1.7.16 ko pay fixation karwana chahte hai. Kya purane basic +grade pay ko promotion date or DNI (jo July me hai) tak lekar ja sakte hai. Ya pay fixation kaise kiya jayega. Answer to AJAI Singh – There is no promotional benefits/fixation from 6th CPC. Designaton changes. Only pay fixation in MACP of every 10 years by grade pay changes in 6th CPC & next Matrix level changes in 7th CPC. Answer to SANDEEP YADAV – This is to inform you that from GP 1900 to next promotion GP was 2000 not 2400. If it is in GP 1900 on 15/8/18 from ₹ 22400 next increment was 23100 fixed in level 3 (GP 2000) from your basic pay from 16/8/2018 as ₹ 23100 and next increment from 1/7/19 as ₹ 23800..If it’s in GP 2000 to 2400 it may be ₹ 25500/- from 16/8/18..